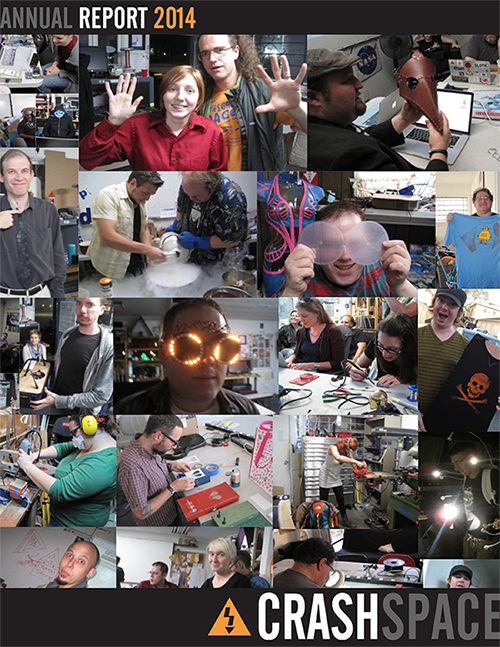 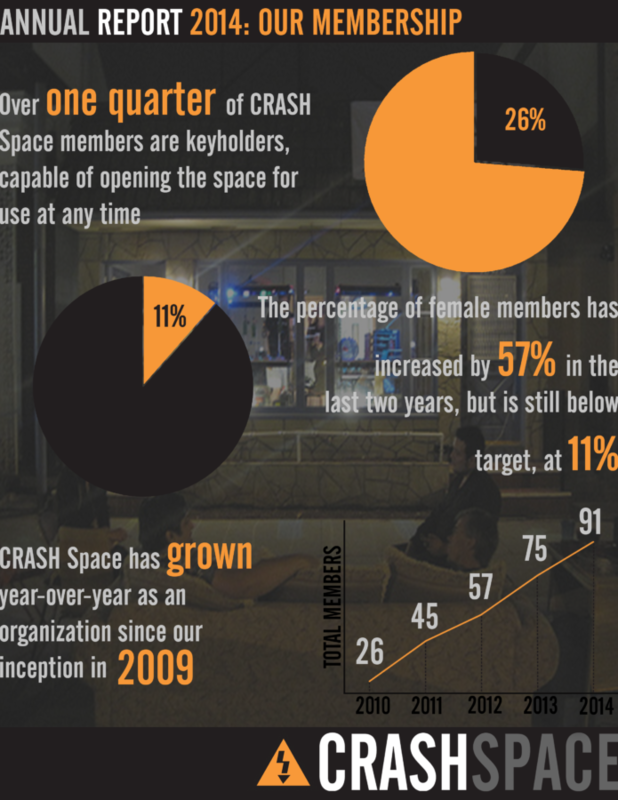 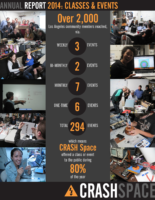 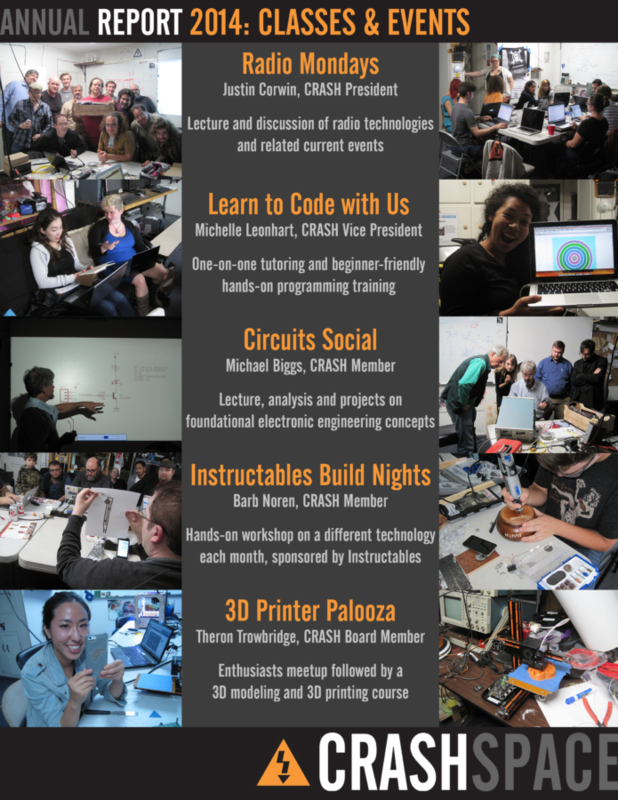 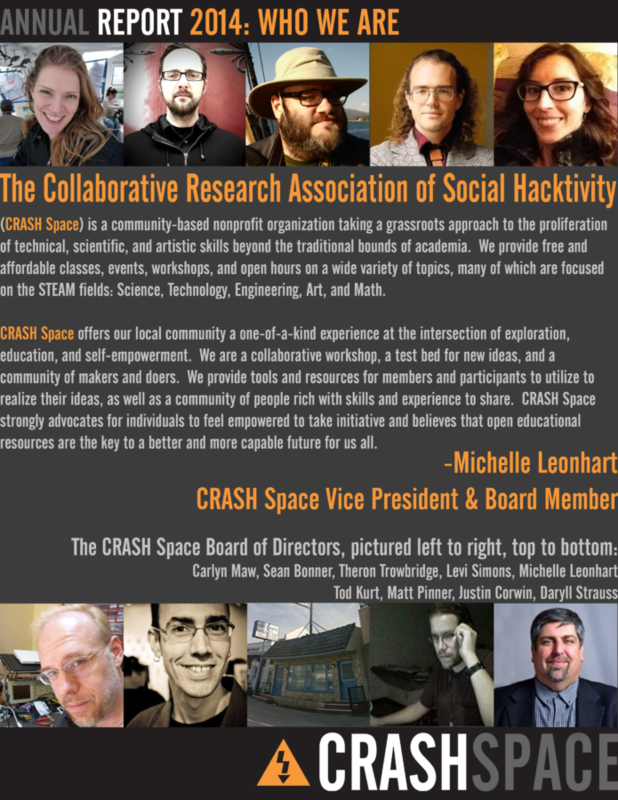 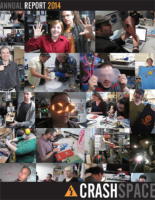 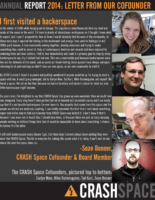 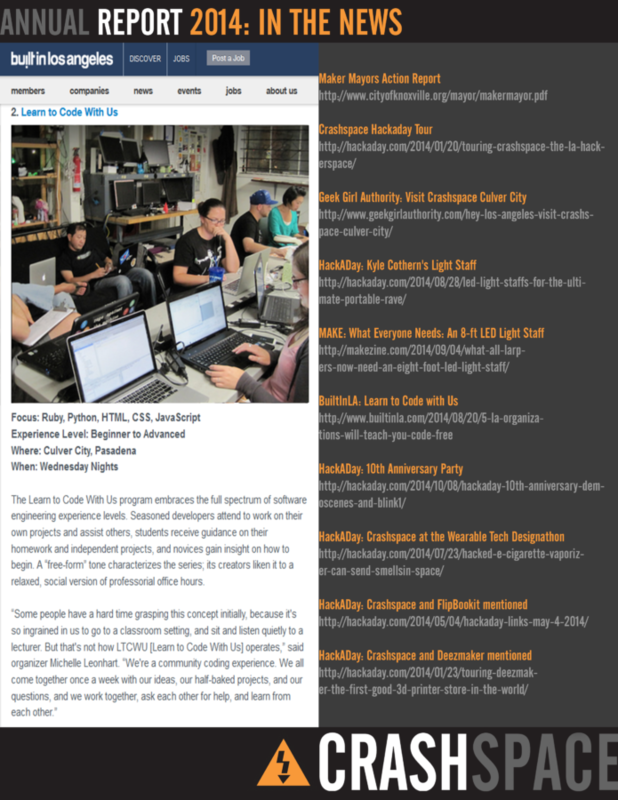 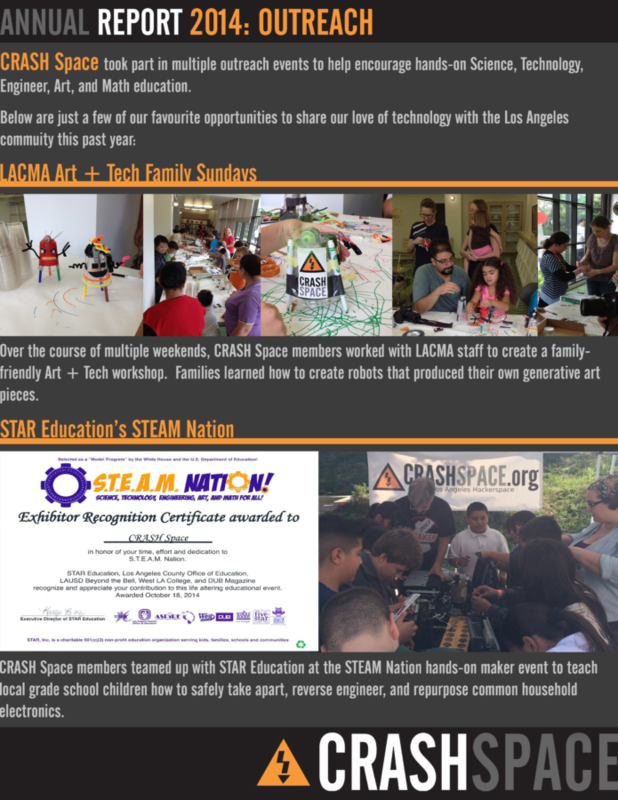 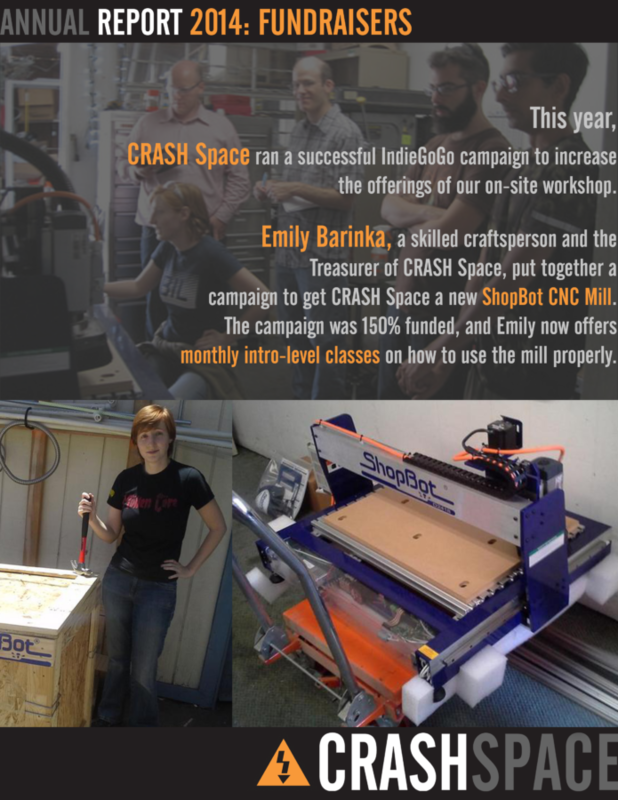 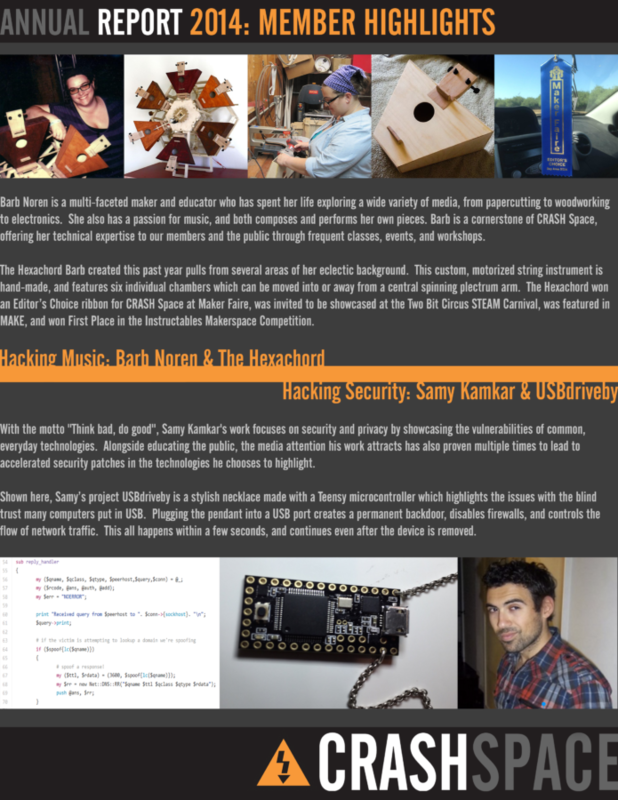 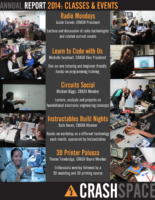 Today, April 26th 2015, is the day of the CRASH Space Annual Meeting! 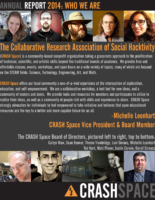 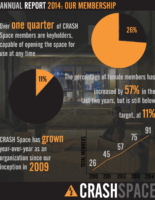 CRASH Space members are welcome to join us for the meeting and elections at 5:00PM Pacific, and may find more information on the CRASH Members mailing list. 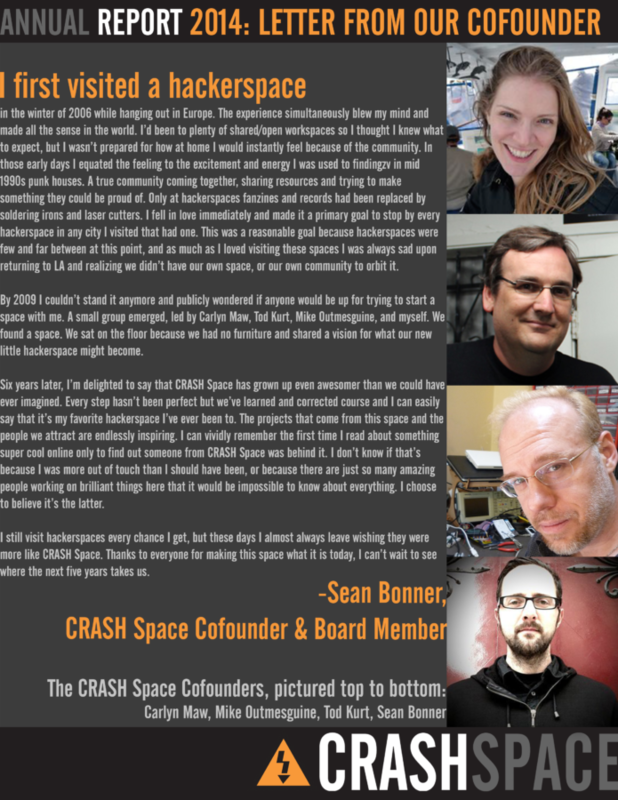 To all CRASH Space members, supporters and friends: please allow me to offer you our sincerest thanks for your participation in and support of our organization and community over this past year. 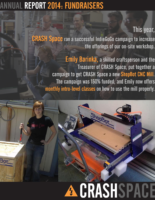 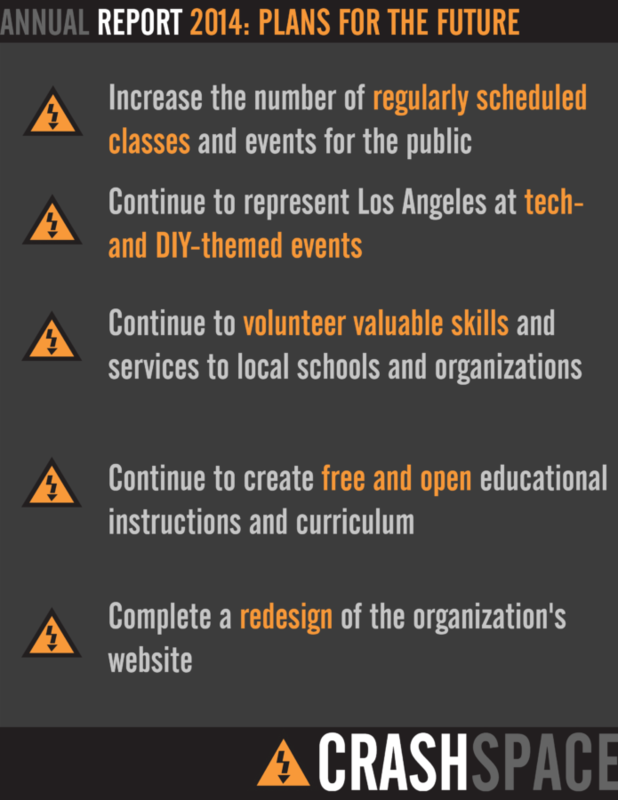 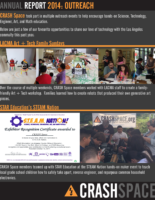 As an organization, we believe that the empowerment of individuals has the power to change our world, and by supporting CRASH Space, you are taking part in a greater global movement to create and provide open, affordable educational resources to our local community and beyond. 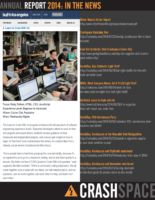 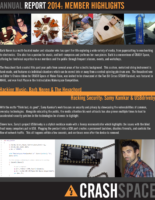 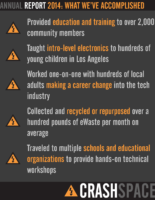 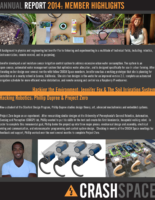 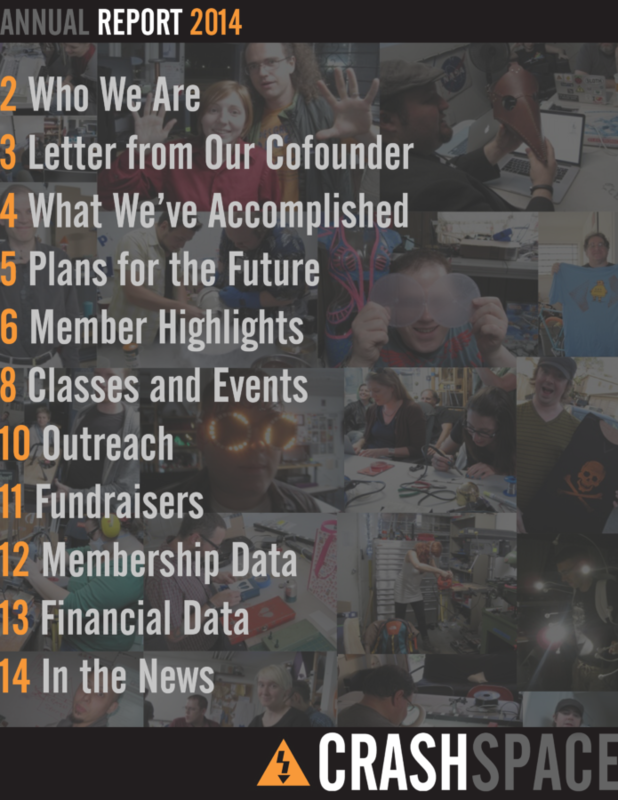 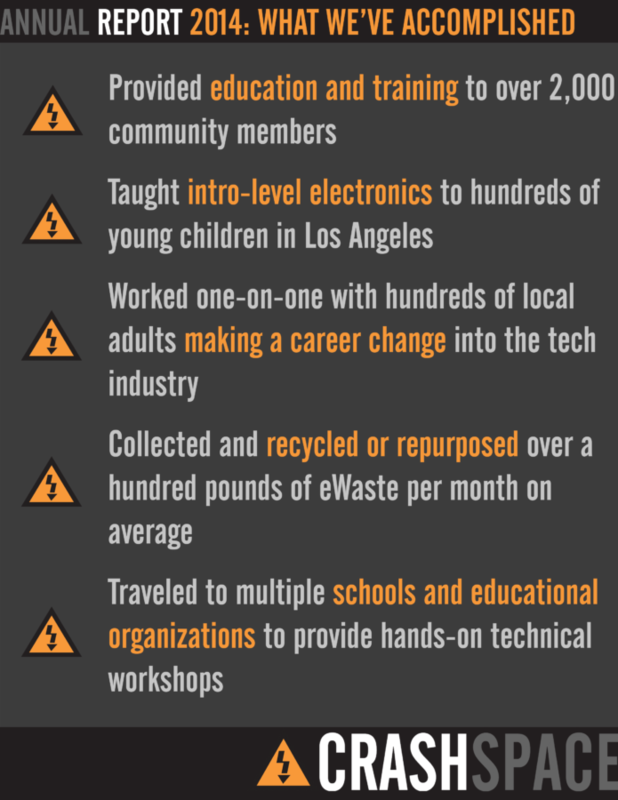 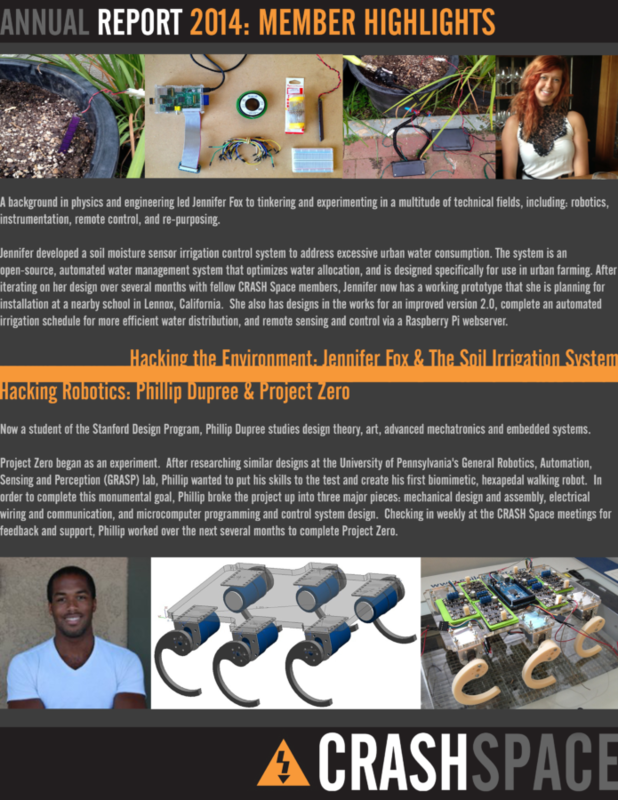 Today I’d like to present to you our inaugural Annual Report for 2014, featuring an outline of what our organization has focused on in this past year, what we were able to accomplish, and our plans for the future. 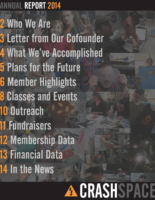 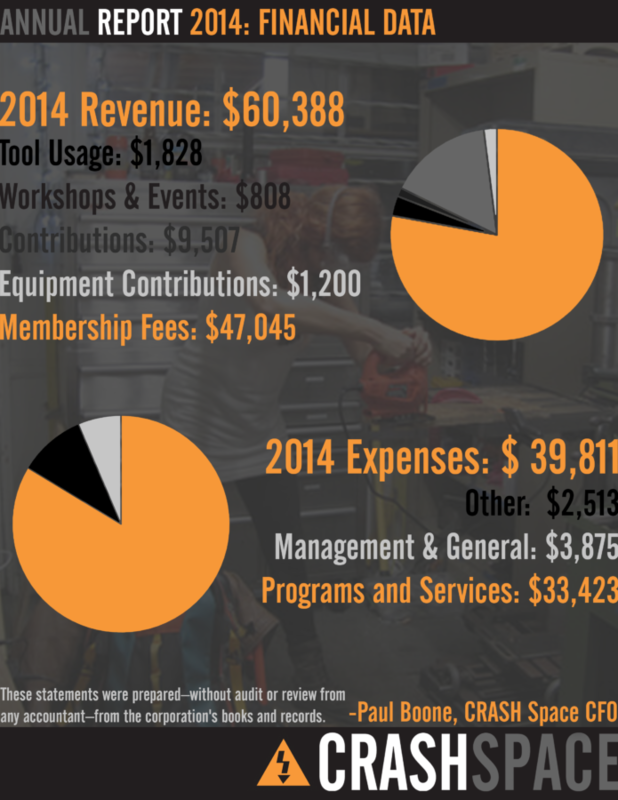 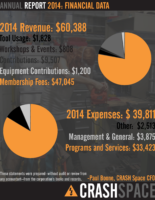 Download the 2014 Annual Report PDF here.